By default on local Windows development environment (XAMPP), users have to put all web stuff in htdocs directory to work with many projects and experiments. For several projects (such as CMS or frameworks) it’s very useful to have separated virtual host in order to have own document root for each application. 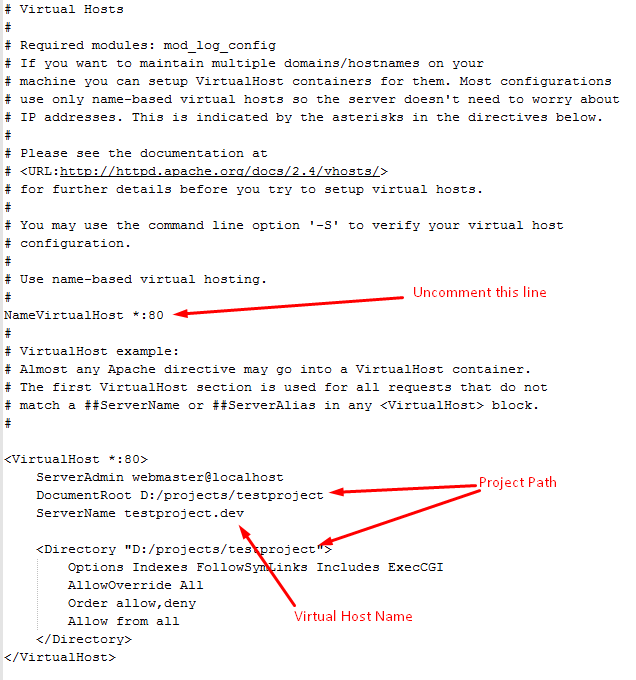 Here are quick and easy steps to create Virtual Hosts for XAMPP. In this snippet testproject.dev virtual host is created and accessible by entering http://testproject.dev in browser’s address bar. In order to create your virtual host replace D:/projects/testproject with your project path. and testproject.dev with your virtual host name. 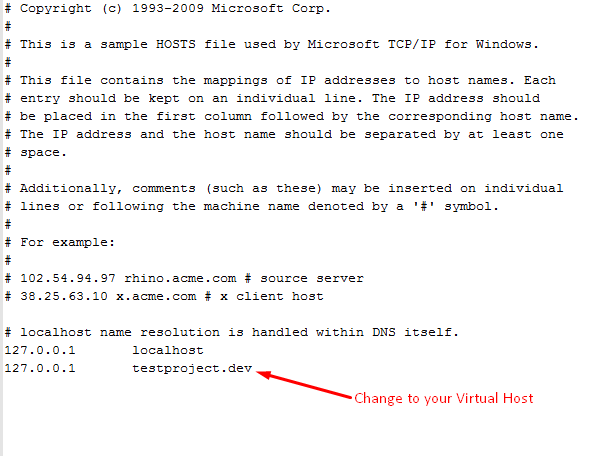 127.0.0.1 testproject.dev #change to match your Virtual Host. Final Step, Restart Apache in XAMPP and test everything.